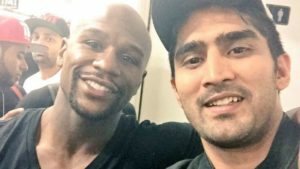 One of the most accomplished boxers in India, Vijender Singh turned professional back in 2015 and since then he has had 10 professional bouts and has won all of them and he holds a knockout ratio of 70%. His last bout was against Ernest Amuzu of Ghana where he won the fight via a unanimous decision back in December of 2017. He was scheduled to fight Lee Markham of the United Kingdom but he the Briton pulled out of the fight. Vijender was totally inactive for the entirety of 2018. He has recently signed with Top Rank promotions and will be based in the United States. He will get to showcase his talents on ESPN network which is an industry leader in sports broadcasting corporation. However, Vijender’s professional journey wasn’t easy, he was labelled as ‘deshdrohi’ (traitor) by many. In a recent interview with The Sunday Guardian Live, Singh talked about the struggles faced by Indian boxers who want to turn professional. “There are many challenges. In India, we don’t have a professional boxing culture. I joined professional boxing just to make this sport famous in my country. When I joined professional boxing, I faced a lot of criticism; people who don’t know about the sport started criticising me. People even asked me silly questions, like why I am turning a professional boxer. A few suggested that I shouldn’t do this or should leave the country. Some people even called me a “desh drohi” [laughs]. I don’t know why. But in India people love you when you win against anyone, anywhere in the world. If you are a champion then people love you and respect you. And yes, they now love this sport. People say everybody only loves cricket, but that’s not correct. Vijender is yet to make his US debut, although previous reports suggest he might make his American debut in February.